If you plan on visiting Las Vegas during the spring or summer, chances are you’ve considered spending at least some time by the pool during your trip. The desert oasis boasts some of the best, most unique pools in the world and provides the perfect afternoon agenda for cooling off and having a great time during the warmer part of the day. Whether you want to relax in a cabana and tan, swim all afternoon in the crisp, clear blue waters, or go crazy with some day drinking, there are pools for every type of traveler in Vegas. Here are my top picks of Vegas’ must-visit pools for every type of traveler this season. Also consider reading: How to get into Vegas pools for free. Tan lines are so overrated. Secluded in the heart of The Mirage, BARE is a top-optional small pool for a truly intimate, tanning experience. Featuring a relaxed central pool, along with a standing-only clear-wall pool, BARE is full of open-minded, laid back individuals, who just want to enjoy the weather with great company. Women get in free while entry varies between $20-$40 for gentlemen which helps the crowd be about a split even 50/50. There’s plenty of space to relax and work on your summer bronze, and while chairs aren’t first come first serve, many visitors enjoy basking at water’s edge and enjoying the view. If you feel like grabbing lunch here or a few drinks, I highly suggest ‘purchasing’ a chair for the day, which is complimentary when you spend a $50 minimum. With drinks ranging between $10-$20 each, it can be a great investment and can make your afternoon, comfortable and provide you with a bit more personal space. A fan favorite on Yelp! Bare is definitely worth a visit! Spacious and luxurious – what else would you expect from a pool within the Garden Of The Gods? The pool complex located within Caesars Palace offers six equally striking pools, separated by vibe and represented by a mythological Greek deity. For laying out, The Apollo (named after the Roman god of light) is your go-to, positioned for maximum sun exposure, and allowing you the best potential of working on your tan. Located at the southwest corridor of the oasis, it’s quietly situated away from the loud music where you can set up your towel and bask in the desert sun, or opt-in to spend $50 on food and drink for your own luxe sunbathing chair. Bronzed vacationers love this pool but make sure to arrive early, as while it receives the sun earlier on in the day, it also can be covered by afternoon shadows later on. MGM Grand is known for their movies, and here at their Pool Complex, you’re center stage at the blockbuster of all Vegas pools. Situated upon 6.5 acres, there’s no shortage of swimming space and is one of the few Sin City spots to provide both complimentary towels and chairs. In all of my trips to Vegas, I continuously find myself returning (as you’ll see this location mentioned multiple times on this list) as their pool complex genuinely offers something for everyone. For swimming, there are four large pools, three whirlpools, and a quarter mile lazy river that’s always a great time. Here you’ll find some of the longest opening pool hours on the strip with many open an extended 10 am to 7 pm, and while tube rentals aren’t free, if you decide to take a break from swimming laps, it’s fairly easy to find one coasting along in the lazy river for your enjoyment. If you’re looking for an energetic pool atmosphere full of happy vacationists, the Go Pool located inside the Flamingo Hotel is worth a visit. It’s a party type atmosphere but with incredible options for swimming, and even includes a 21+ section if you prefer being around a more mature crowd. Last year, I almost stayed at the Flamingo for the sole reason of their GO Pool, but even if you choose to stay elsewhere, you can still get in for around $15 per person. Overflowing with lush green palm trees, this 15- acre tropical retreat is a swimmer’s paradise complete with two large pools that interconnect through lagoons and even a waterfall-covered grotto! Visiting on the weekend? On Friday’s the staff throws in an extra free beer when you buy a bucket! Plan on arriving early, however, as this pool complex is so much fun, most guests arrive early and stay well into the afternoon. No, it’s not a mirage, it’s Vegas baby! Comprised of 2,700 tons of real sand, over 11 lush acres and including a 1.6 million gallon wave pool, The Beach at Mandalay Bay is the closest thing you’ll get to the ocean in the middle of the desert. 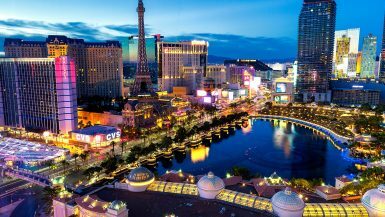 Whether you enjoy swimming around the lazy river or battling tall crests in the wave pool, The Beach is an absolute must for anyone who wants to go to Vegas for pool time. There’s plenty of space to claim for your own throughout their sandy landscape in this world-famous aquatic playground, the food at their restaurant Bonus: Mandalay Bay hosts summer concert series throughout the warmer months, perfect for grabbing a cold one and dipping your feet in the water to some amazing live bands. No EDC here, rather you can expect musical talents including Sublime with Rome, The Script, Ziggy Marley among others. This is one of my personal favorites when it comes to Vegas pools. Located about 10 minutes off the Strip in Downtown Vegas, this secluded paradise is ideal for guests who enjoy a bit of excitement and modest space in their ultimate pool getaway. Apart from the larger complex: The Tank, you can enjoy multiple swimming areas, a waterside that soars you through a shark tank, and affordable drinks before retreating to this secluded 21+ getaway. Located on the third floor, you can enjoy a dip in their infinity pool, escape into one of their eight poolside cabanas or watch a game at the H2O Bar. A major perk of this adult offering at the Golden Nugget is the hotel allows you to reserve chaise lounges for $40, securing a comfortable spot regardless of when you arrive, and offer affordable day beds as well, starting at $100 which includes host service, towels, and complimentary water bottles. In a city where it’s almost impossible to find a place to lay out and relax after 11 am, this is a great option if you’d like to come and go as you please, as the reservation secures your spot all day. 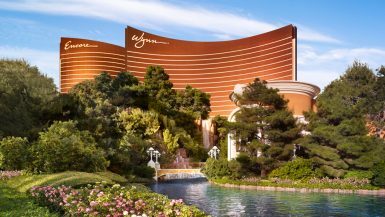 MGM Grand features a 6.5-acre pool complex, so it’s no figure that one of their offerings is an adult only retreat. With no gates, cover charges or kids, The Director’s pool is an oasis of relaxation in the otherwise, water-park inspired complex. 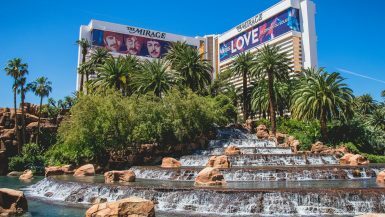 Perfect for going for a dip in the lazy river, playing some water volleyball and then retreating for some relaxation, MGM prides itself on their slogan of “Welcome to Paradise” and paradise it is indeed. If you plan on spending a full day here, be aware that their drinks can be quite pricey, but if you do decide to drink poolside, I highly suggest making a meal out of it (and a few photo ops) and order their Morning After Mary. Served from their poolside restaurant Cabana Grill, for $24 you get a 32 oz “meal” complete with a chicken tender, chef’s choice of cheeses and meats, fresh veggies and a BLT slider. It’s a ridiculously amazing drink worth sharing on social media and it’s delicious too! Want to save money for later on? MGM Grand does provide plastic cups you can fill your outside drinks with, so feel free to bring a drink down from your room or grab a strong one while gambling and bring it into the pool with you, free of charge. It’s a great way to save some cash for a poolside massage later on! A resort within a resort, The Cypress pool is full of botanical gardens and refined beauty for a truly relaxing experience. Here, the Italian-themed pool provides a serene ambiance free from kids and EDM music, rather providing only the best food and drinks while receiving impeccable service. Feel like a true jet-setter while you receive a poolside massage while in the presence of Evian-water misters and cuddling up with a good book on top of your chilled towels to combat the summer heat. If you believe in checking out the latest and greatest, Drai’s Beach Club should be at the top of your list. Hailed as the city’s only rooftop beach club, dancing the afternoon away here is effortless with unrivaled views showcasing the entire Las Vegas strip, consistently hosting live performances from renowned EDM artists and having a full-service gourmet kitchen. If luxury is your thing, the mezzanine cabanas offer only the best in amenities and service ideal for a girls trip, or a bachelor/bachelorette party, complete with your own private restroom and shower, and at 11 stories up, provides breathtaking views that make the perfect selfie backdrop! 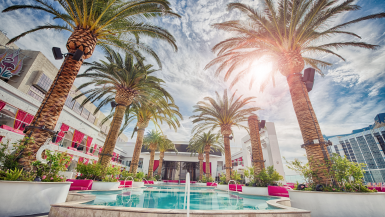 At just one year old, Drais Beach Club is already gaining excellent reviews for being the perfect mix of XS, Surrender, Marquee, and Light combined, so if great music, tasty food, and having personal space is your thing, Drai’s may just be your top choice. 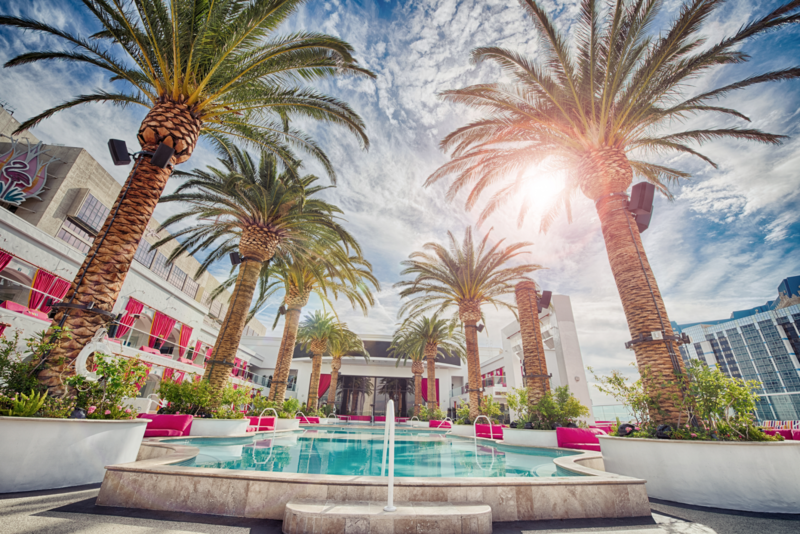 If you crave a large scale pool environment, with luxury amenities and world-class DJ’s providing entertainment while you throw back expensive cocktails, Encore Beach Club is your place. With a maximum capacity of over 2,000 people and multiple pools, there’s never a shortage of ‘atmosphere’ at this daytime retreat. Encore is known for having only the highest in service and flying in the most popular DJ’s around the world to play for their guests. If you enjoy listening to David Guetta, Zedd, Kaskade, Diplo and others, you will love Encore. Throw a mention out that you’re looking for a pool party on social media, and their club promoters are some of the first to respond, often offering complimentary entry for ladies before a certain time. Saving on club entrance can be a perk, especially since nothing is free once you enter – including water. Fiji water will start you off at $8, with an oatmeal cookie matching the price. Want a meal? Food is only allowed in designated areas (no outside food allowed) and starts at $18. Here, people are packed, prices are high, but if that’s fine with you, be prepared for an amazingly fun time where the drinks are strong, the staff is efficient while courteous and the music is on point. Tucked away in the back of the MGM Grand pool complex is Wet Republic. There’s no unparalleled view of the Strip, and it’s not boasting the largest pool either, but if you choose Wet Republic, that’s perfectly fine with you. Here, you don’t need to be fancy, you’re not getting charged $5 to rent a towel, and you don’t need to show up by 11 am to secure a spot, you can just come, be surrounded by a great moderate crowd, do some swimming, eat, and listen to amazing music. Wet Republic is great for people who don’t like large crowds or dropping a ton of money on a cabana but still want that Vegas pool party experience. Show up early and your group can secure free green chairs that are partially located in a shallow part of the pool, grab a Tequila Sunrise for $8, and be close to EDM stars like Calvin Harris, The Chainsmokers, and Tiesto who frequently play at the MGM property. The check-in process is quick, the pool space is intimate, and you can simply enjoy having a great afternoon at this Las Vegas favorite. Want to get into Vegas pools for free? 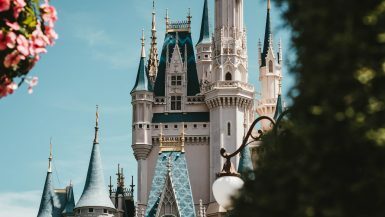 Read our insider secrets HERE!